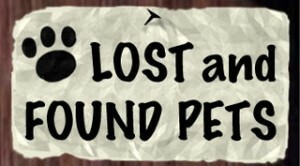 Lost and Found - Save-A-Life, Inc.Save-A-Life, Inc.
REPORT YOUR LOST PET TO ANIMAL CONTROL. Lost pets can travel many miles in one day; for example, a small dog can travel 25 miles in a day. Be sure to report the lost pet to Animal Controls in surrounding counties. You should go in person to Animal Control as soon as possible. Animal Control in Savannah/Chatham is only required to hold a pet for 5 days before euthanizing. Bring a photo to show the staff and a flyer that can be left with the staff. The flyer should have a picture of the pet with a brief description, your contact information, and the location and date when pet was last seen. Just describing your animal over the phone may not be enough for staff to correctly identify your pet. Be sure to go to animal control every few days until your pet is found. Remember: you must wear closed toe shoes when visiting animal control. See http://animalcontrol.chathamcounty.org/Lost-Pets for tips on searching for a lost pet. Use social media including Facebook and blogs to circulate information about your lost pet. Note: When posting your animal use “common sense” in how much personal information you give out and be sure to meet anyone in a public spot with a friend. Do not give your pet’s name in the posting. These publications will run free ads if they are short in length. Call the Veterinary Emergency and Specialty Referral Center at 912 355-6113 and VCA Greater Savannah Animal Hospital at 912 355-8898 since Savannah Chatham Animal Control takes sick or injured pets to these clinics. ANIMAL RESCUE GROUPS MAY NOT TAKE STRAY ANIMALS DIRECTLY INTO FOSTER CARE DUE GEORGIA DEPARTMENT OF AGRICULTURE REGULATIONS. Citizens may also keep the pet while actively trying to find the owner. After two weeks of caring for the pet and active pursuit to find the owner, the pet may be re-homed through Save-A-Life’s Pet Placement Program. Report it immediately to the Animal Control Facility in the county the pet was found. See the Lost Pets section for contact numbers for animal controls. Continuously and actively seek the owner by advertising at least in the local paper, listing it on Craig’s List and Savannah Lost and Found Pets Facebook page (see above). When you post information about the pet, keep back some identifying information you can use to determine if the person claiming the pet is indeed the rightful owner of the pet (collar, scars, unusual coloring, etc.). Have the person responding to the found ad describe the pet. Get the person’s identifying information including his vet. Call the vet and confirm. Ask them to bring a photo of the pet. Watch the pet when it is reunited with the owner. Does the pet respond to his name when called by the owner? Is the pet happy to see the owner? When you meet with the owner, do so in a public place (but safe place for the pet) with a friend accompanying you.